Exciting times for one of the nation’s original hemp companies Yaoh as it launches a brand-new range of bodycare products to supplement its existing range of much-loved bodycare collection, with all its products being 100% vegan and free from animal testing. 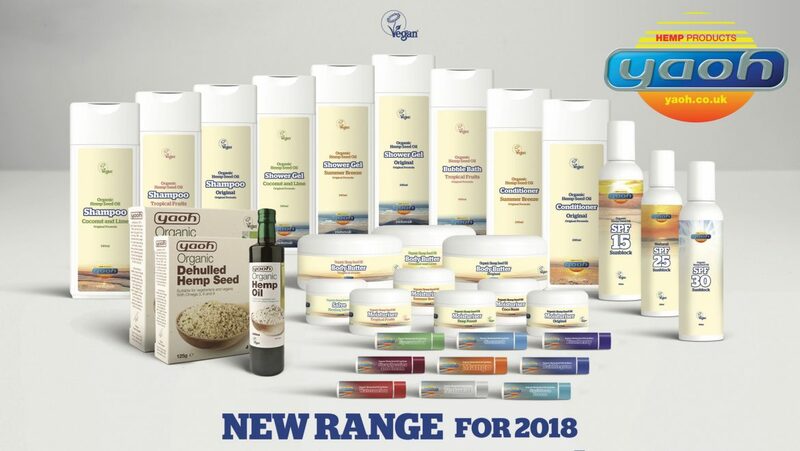 The whole range was available to view for the first time at VegfestUK Brighton 2018 on March 24-25 at the Brighton Centre and will be available for purchase again at VegfestUK Bristol 2018 on May 26-27 at Ashton Gate stadium – all Yaoh products will be on BUY ONE GET ONE FREE only at the show. New products include 3 flavours of body butters, namely Original, Coconut and Lime, and Tropical Fruits. Each flavour utilises the moisturising and rejuvenating qualities of organic hemp seed oil to create an invigorating and refreshing body butter that is free from sodium lauryl sulphate, parabens, harmful substances and unnecessary chemical additives. 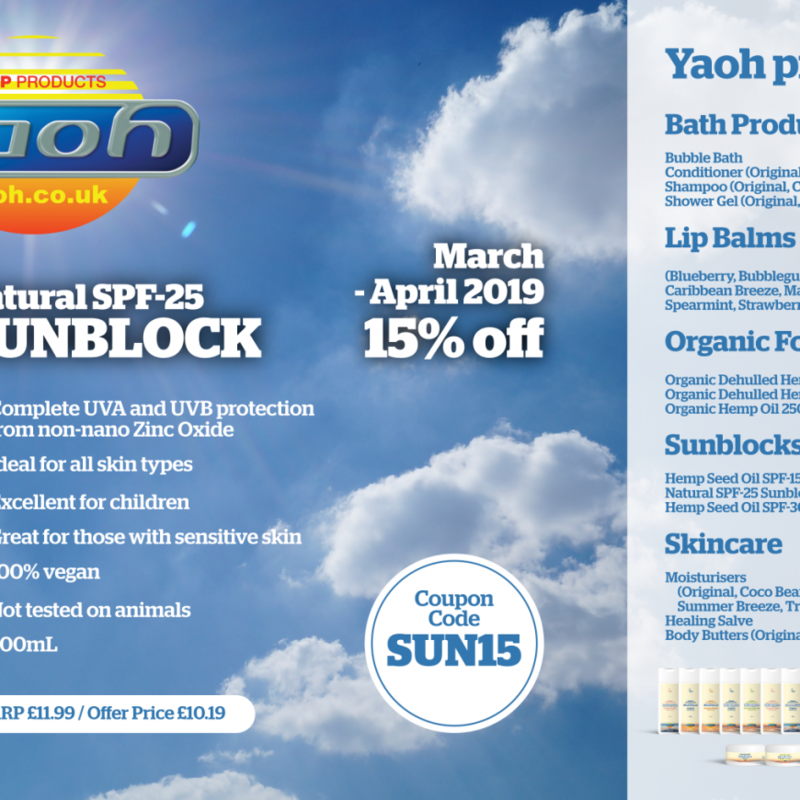 Yaoh’s other new products include their latest Natural SPF-25 sunblock with non-nano Zinc Oxide, as well as some exotic flavours for their existing lip balms, moisturisers, shampoos and shower gels. 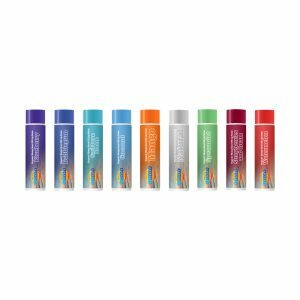 Their new line of lip balm flavours include: Bubblegum, Caribbean Breeze, Natural (unscented), Watermelon, Mango, Strawberries and Cream, Spearmint, Blueberry and Coconut. Yaoh’s moisturisers will see the addition of a rejuvenating trio of flavours – Deep Forest, Summer Breeze, and Tropical Fruits – to complement the existing Original and the Coco Bean flavours alongside the Healing Salve. Meanwhile, Yaoh’s shampoos come in 3 great flavours including the ever popular Original, plus 2 new great flavours – Coconut and Lime, and Tropical Fruits. The shower gel range will see two new flavours Coconut and Lime, and Summer Breeze coming on top of the existing Original flavour. 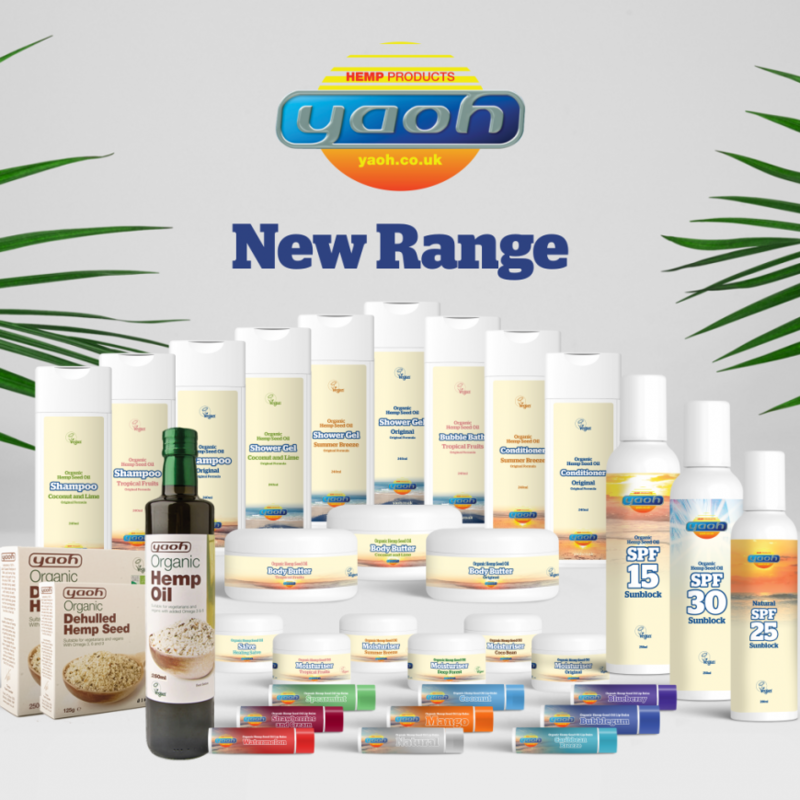 The entire Yaoh product line, including their existing bodycare products such as their SPF-15 and SPF-30 sun blocks, conditioners and bubble bath, will carry a new branding with their new sunrise logo (which was announced on Summer Solstice Day in 2017) from Monday April 2nd 2018 onwards. 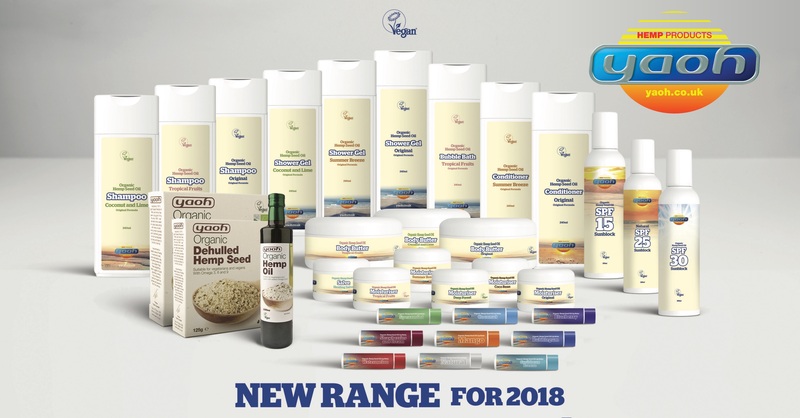 All Yaoh products are available at selected independent health shops and on their website www.yaoh.co.uk, with a new-look website to be launched on Thursday March 1st 2018. Follow Yaoh on Facebook and Twitter @YaohHemp.